I'm trying to create a new symbol that simply combines a number with a triangle, by placing the number inside the triangle. It should work in math-mode (text mode would be nice, but not required). As you can see, it doesn't work nicely for scaled text and very badly for superscript and subscript. I was wondering if there is a better way of doing this. 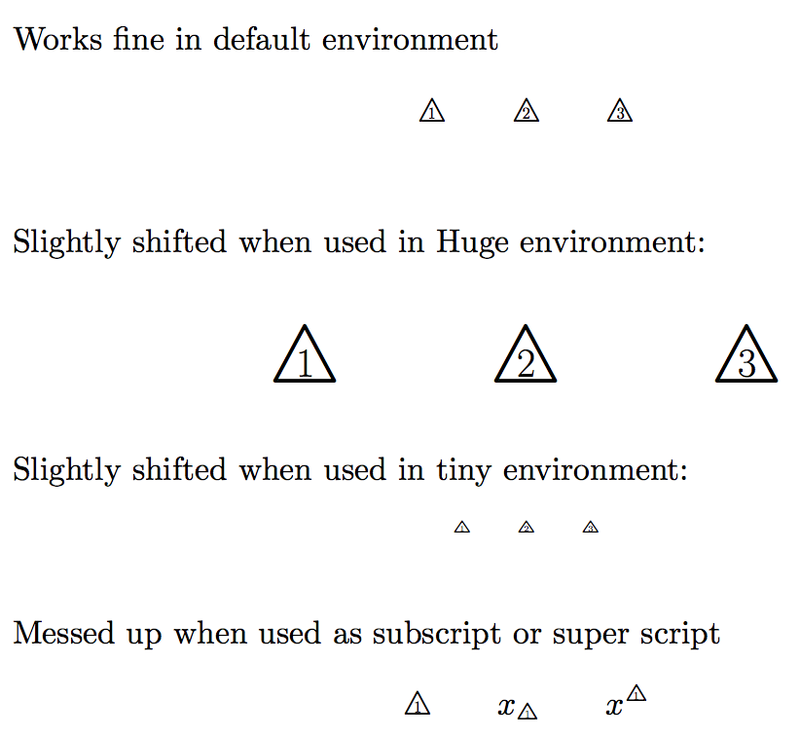 A TikZ solution with works in different sized for both math and text mode. Is there a math symbol for right(-angled) triangle? 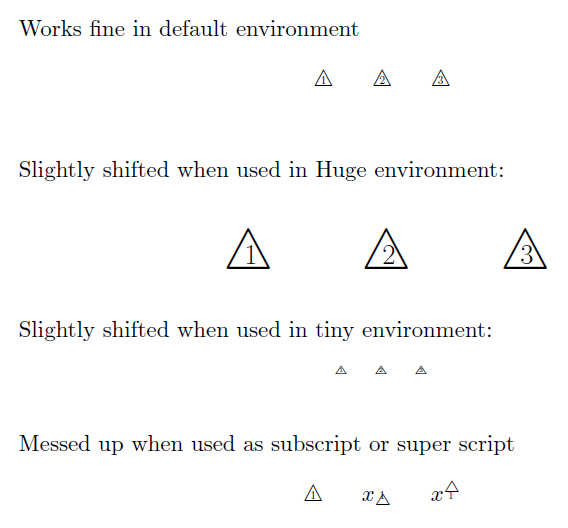 Is there a Latex symbol that combines \top and \bot?